The Vivitar ViviCam 2000 is a digital camera, dating to 1997 (per copyright date in manual). It has two resolution modes, standard resolution 320x240 and "high" resolution 640x480, has a fixed-focus lens, a self-timer, and needed four AA alkaline batteries to operate. 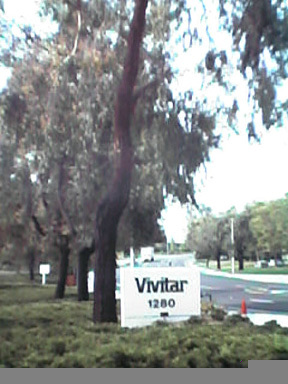 A sample image that once appeared on Vivitar's website (see here) suggests it had lower picture quality than the infamous disc film. This page was last edited on 4 November 2016, at 18:08.